DP+CO2 Laser Engraving and Cutting Machine engrave metal and non-metal materials both. 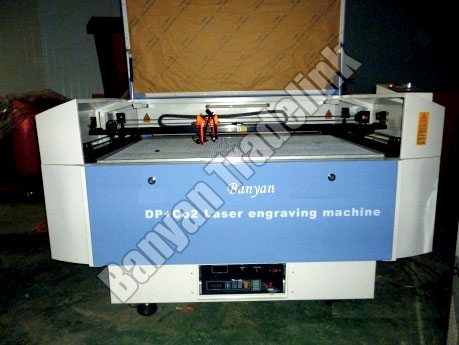 Our company is a prominent Importer, Supplier and Exporter of DP+CO2 Laser Engraving and Cutting Machine from Gujarat. These DP+CO2 Laser Engraving and Cutting Machines have a cutting speed of 500mm/s and an engraving speed of 1000mm/s. The Machine is provided with water cooling and protection system.